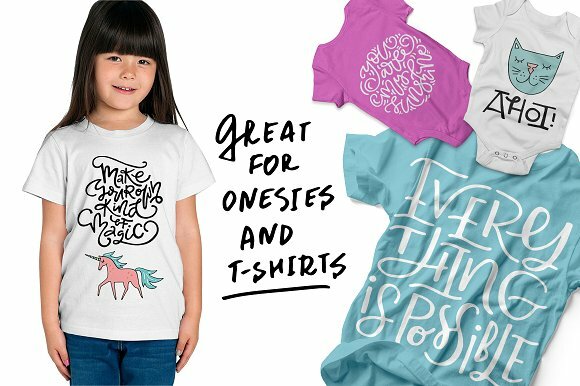 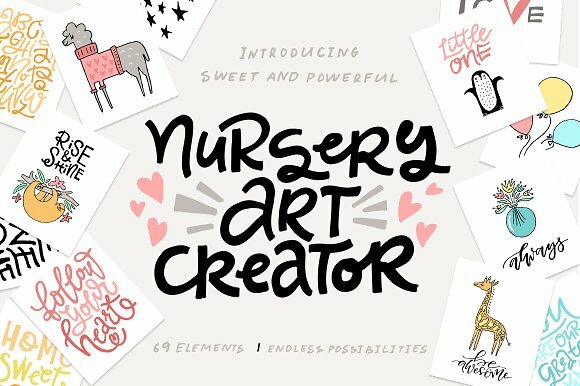 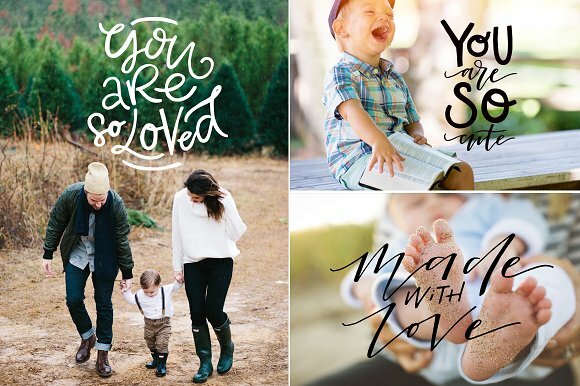 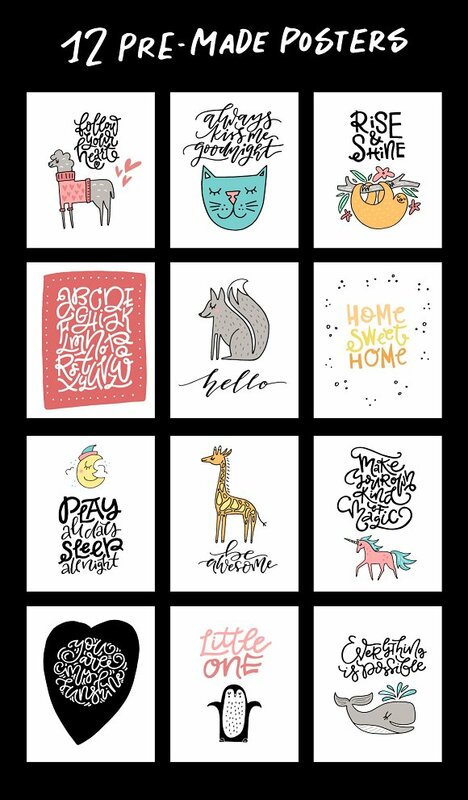 Nursery Art Creator is a big pack of lettering, cartoon illustrations and addons that will help you to create stunning DIY posters, onesies, t-shirts, pillows and other cure stuff. 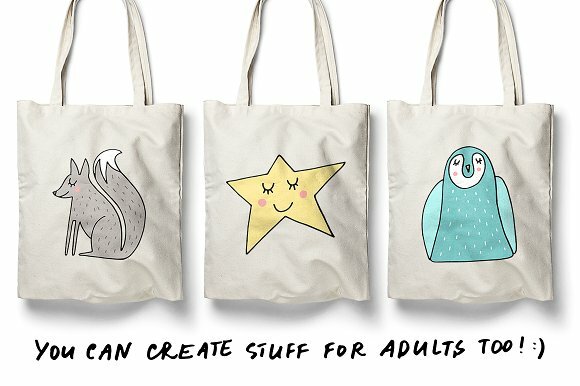 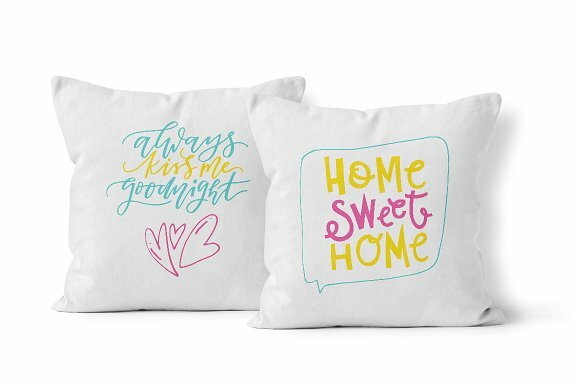 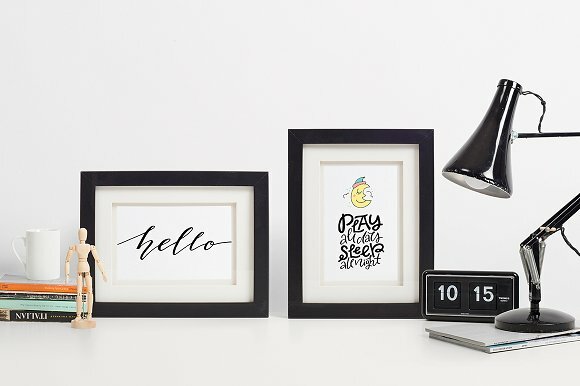 As you can tell by the name of this product it’s main purpose is to help you decorate nursery, but illustrations and lettering can also be used for creating stuff for adults. 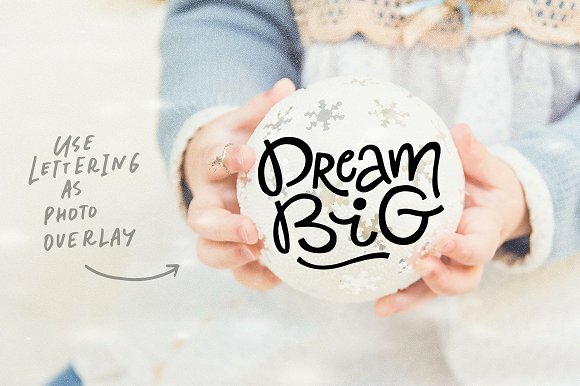 Lettering is also great for photo overlays. 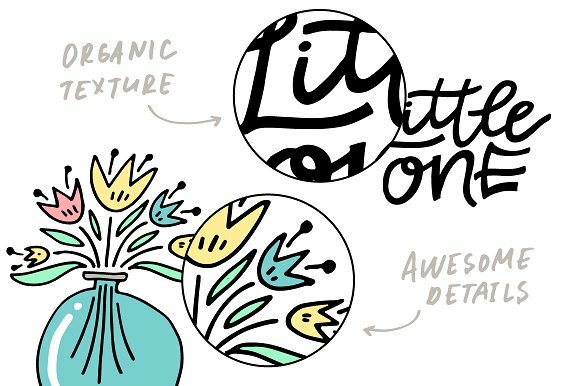 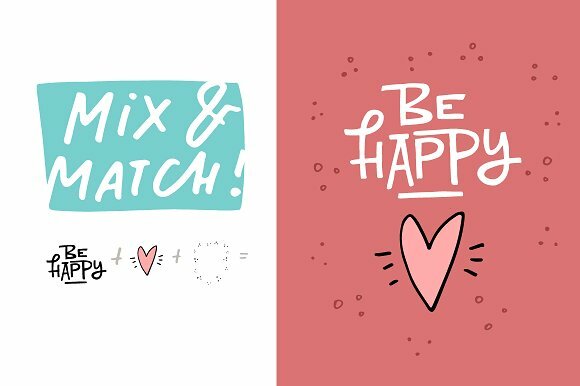 You can mix & match illustrations with lettering and addons to create your own unique combinations. 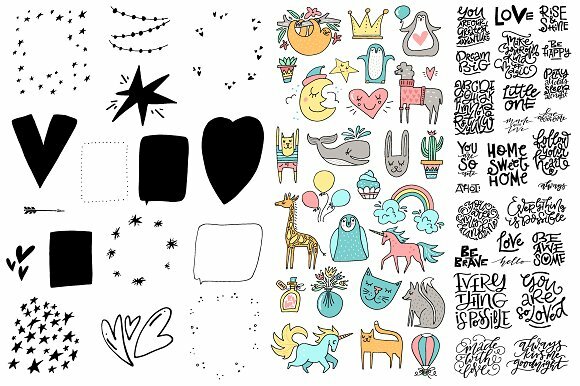 Illustrations and lettering are saved in both black and white & colored version (check the previews to see everything you’ll get). 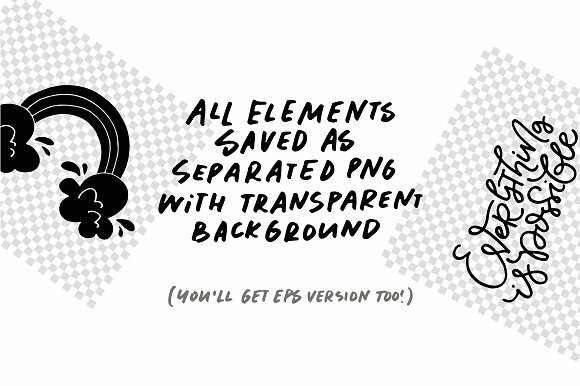 You will get files both in PNG & EPS. 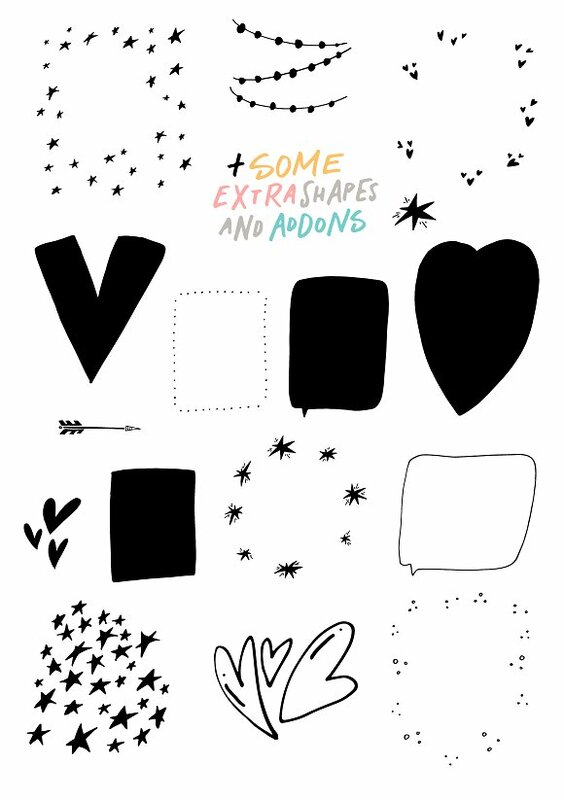 Vector files are saved in EPS8 (premade cards – in EPS10) version and PNG has transparent background, each element is saved separately, sizes vary – most of them are 8000×8000+ px, 300 DPI. 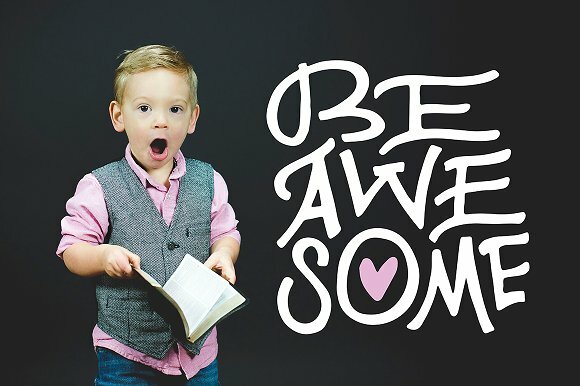 Please note: text is not editable! 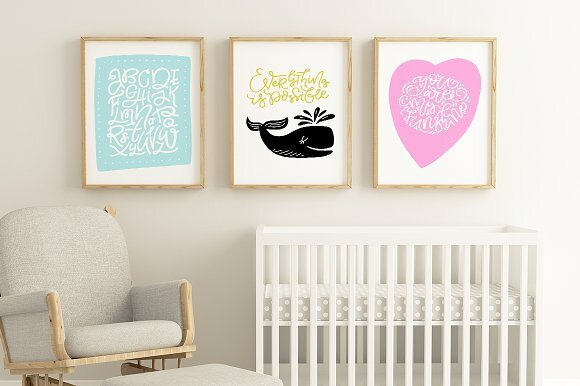 Those quotes are not fonts, but essentially drawings of the letters.